In all the chaos of Christmas, with the running around, pressures of gift giving, try to carve out Sunday night (Dec. 21) to sing-a-long to “The Sound of Music” with the family. It’s a perfect time to sit together, wrap gifts, and order takeout pizza and wings for dinner. The Rodgers & Hammerstein musical based on the real-life on Trapp family will air on ABC from 7-11 p.m. The Tony Award- and Oscar-winning musical includes the great opening scene as the helicopter skims over the tress and finds Julie Andrews on top of the mountain as she burst into the title song. Plus, there’s “My Favorite Things,” “Climb Every Mountain,” “Edelweiss,” “Do-Re-Mi,” “Sixteen Going on Seventeen” and “The Lonely Goat Herd” puppet scene. P.S. If you can’t wait, there’s “Sound of Music Live” airing on NBC 8-11 p.m. Saturday (Dec. 20), but it’s just not the same and never will be. Learn about the real von Trapp family and how it differs from the movie family here. 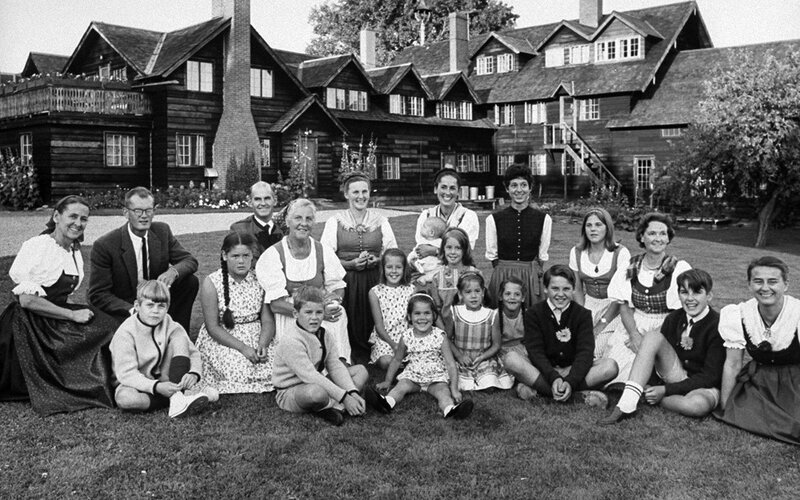 Visit the von Trapp family lodge here.